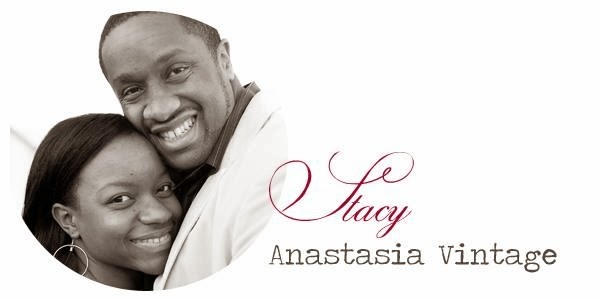 I live in a north western suburb of Sydney, Australia, with my husband and 2 young children. I'm a full time Mum and a part time Furniture Restyler. 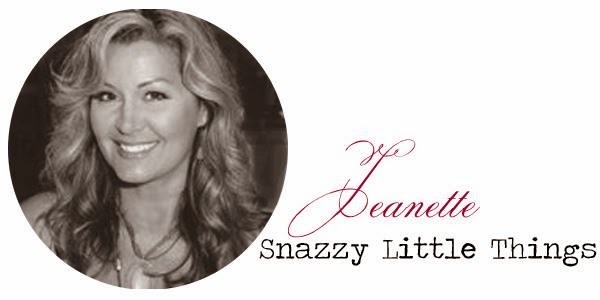 Prior to having our children I worked as a Personal Assistant in the Legal Industry. When our daughter was born I enjoyed motherhood too much to return to an office job. I'd always been creative and now I was able to expand on this instead. I began making and selling nursery decor. A year later I was expecting our second child. Shortly after my son was born, I began sewing vintage style soft baby toys which I sold through a retail store. But after sitting up nights on end sewing, I soon realised I needed the sleep more than we needed the extra income. A year later, we purchased our first real home, having owed an apartment and rented in the years prior. What drew me to this house was the abundance of white plantation shutters on the windows. It was love at first sight. 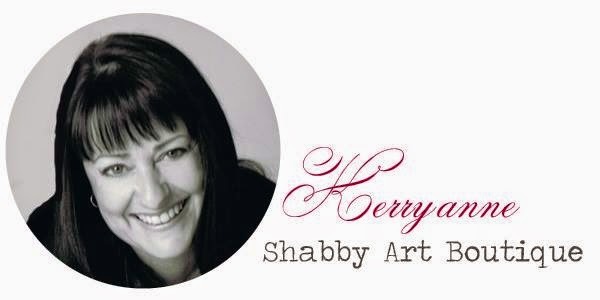 Otherwise the house was a blank canvas and this is where I started following home decorating blogs and finding online inspiration from other thrifty and creative people, including Kerryanne at Shabby Art Boutique! 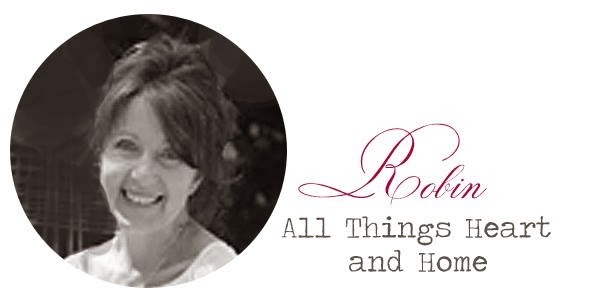 This lead me to posting my own online blog following my decorating and crafting adventures. 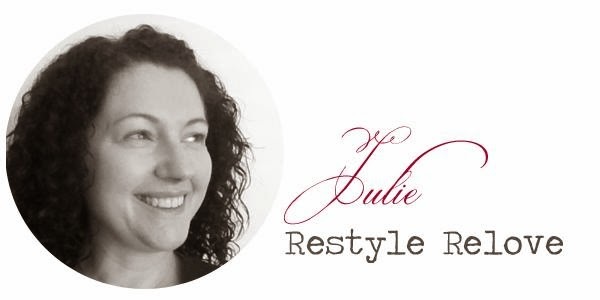 It also lead me to turning my furniture restyles into a part time business, enabling me continue working from home whilst caring for my children. It took me 4 years to discover my personal decorating style, but now I realise that I tend to gravitate towards vintage farmhouse decorating using lots of whites and neutral tones. Like all DIYers, I'm constantly painting something, moving something, or restyling something. And when I am not thrifting or restyling or blogging, I'm doing mummy things. 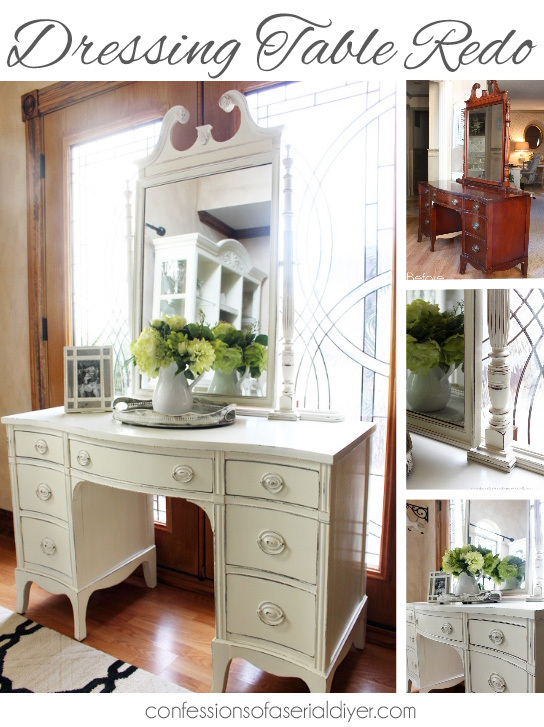 Christy at Confessions of a Serial Do-It-Yourselfer transformed this Estate Sale Dressing Table. It is gorgeous! You must pop over and check out the before and after. From Evija with Love upcycled this beautiful old chair. Such a great transformation! 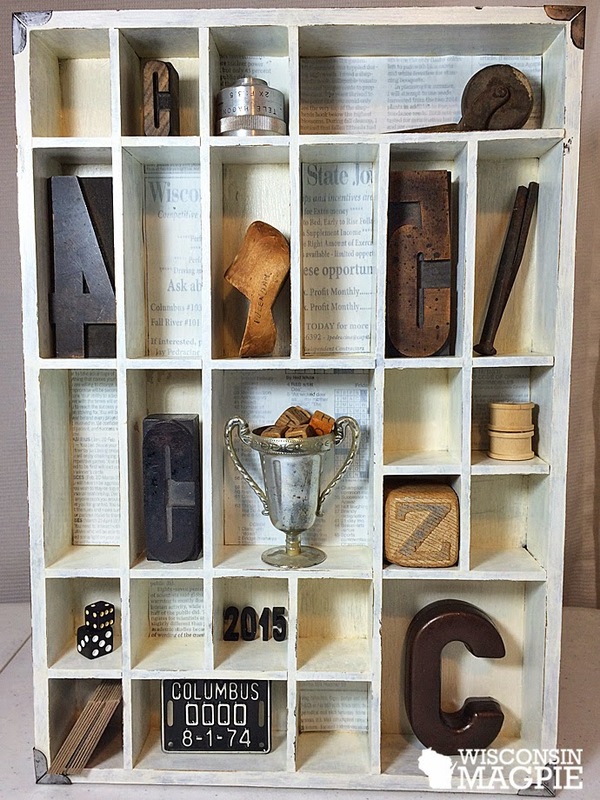 Lisa at Wisconsin Magpie made off this old typesetters tray into a shadow box and filled it with lots of interesting stuff. Very cool! Angie at Knick of Time recycled these old jello tin moulds into candle holders. Very ingenious! 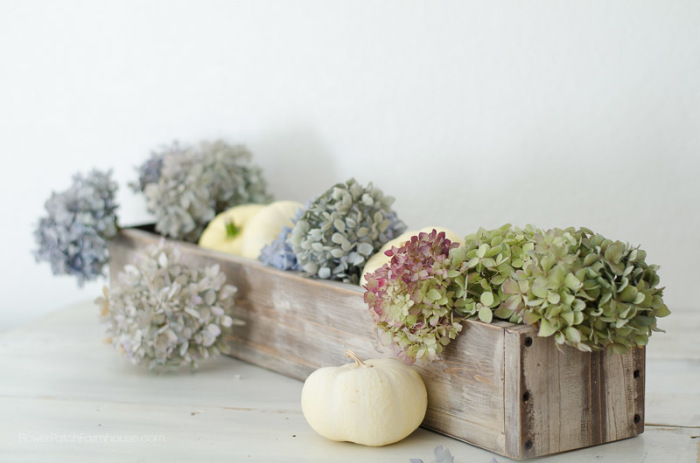 Pamela at Flower Patch Farmhouse did a fantastic tutorial on How to get a rustic finish on new wood. I'm pinning this one! 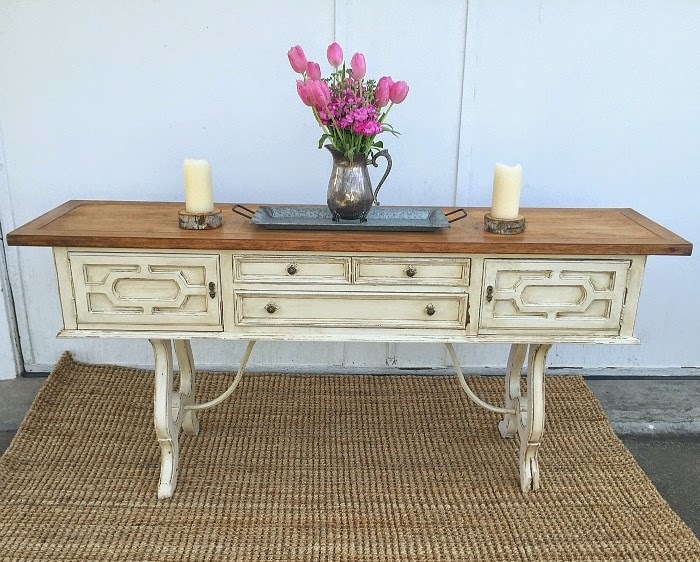 Darrielle at DD's Cottage and Design made over this stunning buffet. That girl has serious talent! Bre at Bre Purposed made this cute PVC Pipe Table. I love this idea! 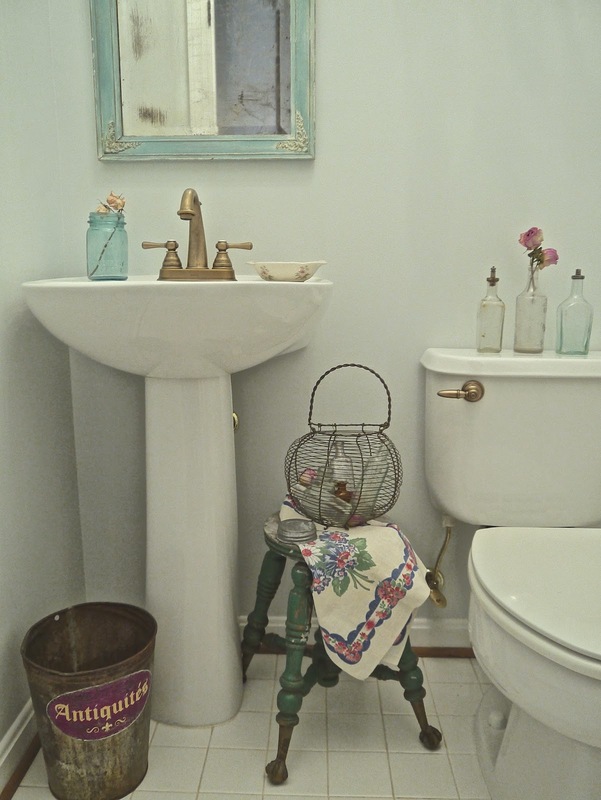 And Chateau Chic gave her Half Bath a Facelift. It is so pretty. Thank you all for linking up. Picking features sure is hard with all the great talent! If you are new here at the party, let’s stay in contact. We’d be thrilled if you’d connect with the party hosts! Now it is your turn to show us what you’ve been up to this week. Remember, this is a party for all things shabbilicious, vintage, cottage, farmhouse - in a nutshell, "perfectly imperfect." 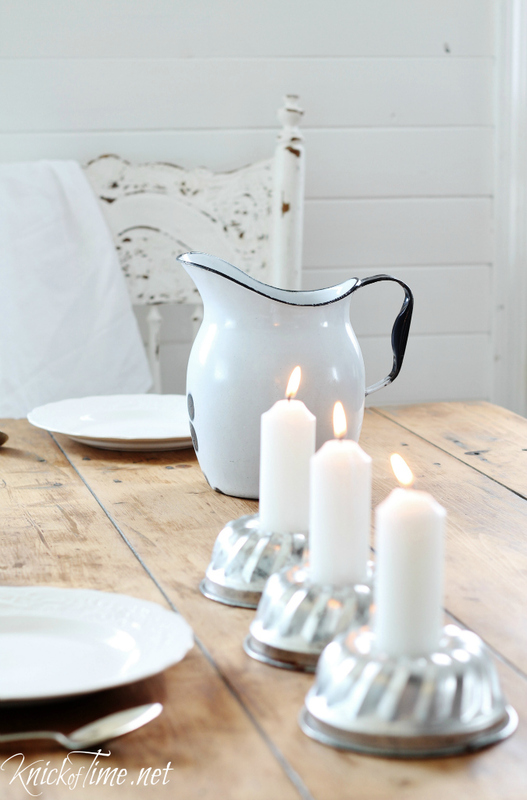 Julie, thanks so much for including my simple candle holders among such other lovely features! Thanks for host - I just linked up again this week! Love your party and thanks for the feature of my buffet!